Saturday Night Live was desperate to force a Guardians of the Galaxy parody for Chris Pratt, host the 40th season premiere. The premise was Marvel can’t fail regardless of what put out including an undeserved dig at the upcoming movie Ant-Man. This creative process results in ridiculous movies starring regular people like Aidy Bryant in Pam and Pam 2: The Winter Pam. 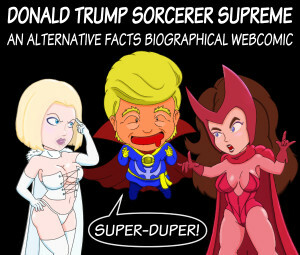 Marvel may not be able to fail but this joke sure was until it turned into a Star Wars parody. Jay Pharoah posted some behind-the-scenes shots to Instagram. 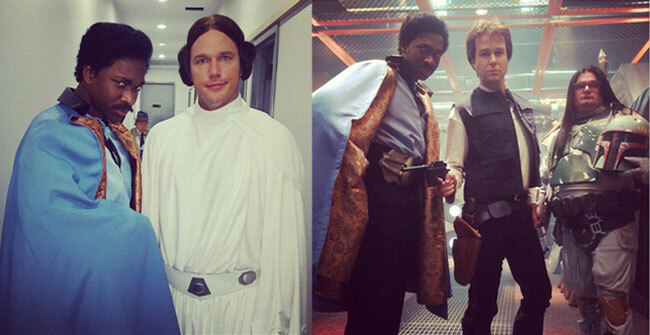 The cast recreated the slow walk scene in Guardians of the Galaxy with Pratt as Princess Leia, Bobby Moynihan as Boba Fett, Jay Pharoah as Lando Calrissian and Taran Killam as Han Solo. They were accompanied by R2-D2 and a Stormtrooper. Darth Vader also made a cameo to demonstrate the dark side of dance with some crotch pumps.